When traveling to Ireland, the first drink that pops into your mind is the infamous pint of Guinness. Sure you probably would think about booking yourself into the Guinness Storehouse. But if you would like to venture your pallet outside the Irish stout, here are 5 incredible IPA’s that you must give a try when visiting Ireland. 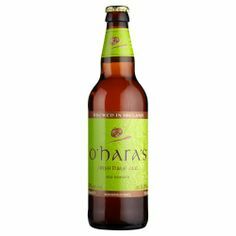 The first that pops to mind is the O’Hara’s IPA, a contemporary style IPA with an Irish twist. Combining the balance of European IPAs with the generous dry hopping of American pale ales. It hails from the countryside of County Carlow. The beer is zesty and refreshingly bitter with a long finish. A great summer beer, with a copper toned body and lightly carbonated head. If you take a day trip out from Dublin, it would take you about an hour, but the brewery is one not to miss and you will get a great sense of rural Ireland. You can find out more information about their brewery tour here. The Sinner hails from County Wicklow, about 30 mins from Dublin City. 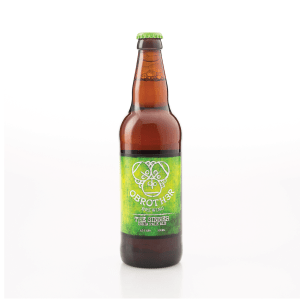 The brewery (O Brother Brewing) is an intensely quality focussed, family owned and run business, set up by 3 brothers, Brian, Padhraig and Barry O’Neill. For the brothers, it started with a passion for home brewing and after a light bulb moment, they decided to break out from the 9 to 5 and dedicate themselves to something they were passionate about. What began with a 25 litre kit in their father’s shed has expanded to their own brewery in Kilcoole, Co. Wicklow and after a lot of hard work, their first beers left the brewery in December 2014. The sinner is truly a masterpiece beer and a must try when visiting Ireland. It is made of seven malt types and is a blended for a malt base that is delicately sweet hinted by biscuit malty flavors. The finish is where the magic is. Your mouth is left with a long citrus and spice tropical aroma hence the name “the sinner”. 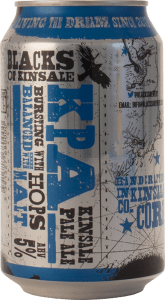 Located in Kinsale County Kerry, the Kinsale IPA originates a little further out from Dublin. It’s about a 3-4 hour drive, but definitely worth it for this beer. You taste you taste the citrus notes you’d expect from an IPA. Orange is at the forefront in this one. But after a while when the beer has become a bit warmer, in comes the surprise. The malts powerful hop content make this beer taste absolutely fantastic. It’s like a dessert in a pint, crisp, robust and contains a charge of citrusy after taste. The beer is also much less carbonated than you would expect from an IPA, not too sweet and not too bitter either. Served cold straight out of the fridge, this one is a real treat. 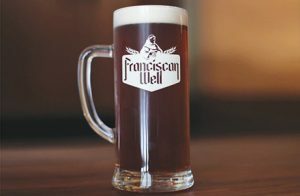 The Chieftain IPA is a brew from the Franciscan Well brewery in Cork the has been named one of world’s best seasonal pale ales by numerous judges at the awards in London. The beer has been Ireland’s only global winner and comes with a nice yeasty fruit aroma on the nose and lovely nice soft fruit flavors on the finish. A truly enjoyable master piece. Not only that Cork is Ireland’s second largest cities and is a place with immense culture and passion for craft beer, food, and even wine. Last but not least is the Stoney Gray IPA from the Brehon brew house in Killarney. This floral pine flavored beer has a great bitter dry finish that goes perfectly with foods like Indian, Mexican or even blue cheese. Killarney is about 3-4 hours from Dublin, but well worth the journey to visit the beautiful mountains, lakes and an even ring of Kerry where you can drive around the peninsula and take in the beautiful scenery that it has to offer. So yes, coming to Ireland you might be tempted to go for the standard pint of Guinness, but once you have experienced that, there are far more refreshing beers to get your taste buds going. Each with their own different character notes. Be sure to visit Wicklow, Kerry, and Cork if you want to find some of the best breweries Ireland has to offer. 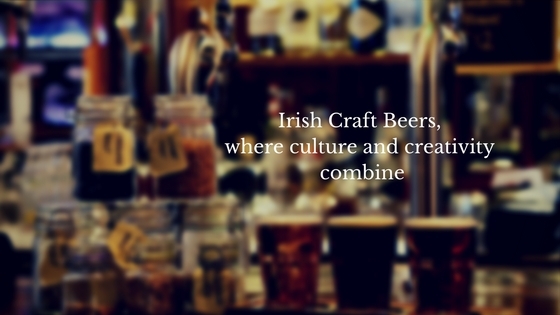 But don’t worry if you don’t get the chance to visit Ireland, you can always find out more about these Irish craft beers from O’brien’s, Ireland’s largest Irish craft beer retailer.